Rock, Light & Roll Guitar Musical Toy is rated 5.0 out of 5 by 2. Music appreciation is just a Rock Light and Roll Guitar Toy away. Watch your baby rock out with 2 easy ways to play music. 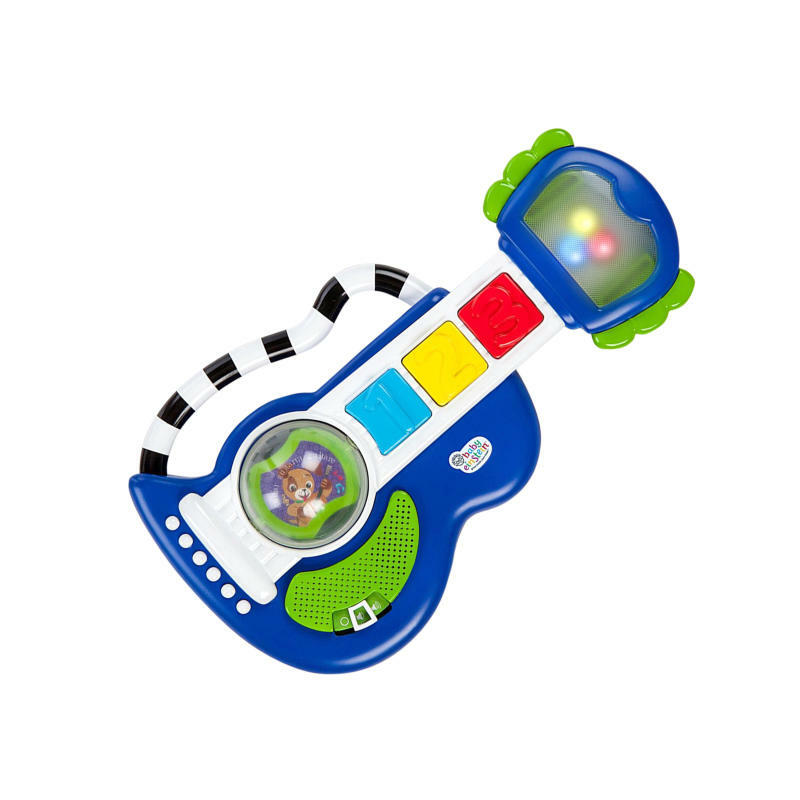 Mini musicians can strum the spinning rattle ball to play 10 classical masterpieces in true Baby Einstein fashion, or push the numbered buttons for shorter riffs. Every tune features a flashing light show for a full concert experience. The guitar is shaped by an easy-to-grab handle for little rock-and-rollers to take along. Dimension (in) 10" x 1.75" x 5.75"